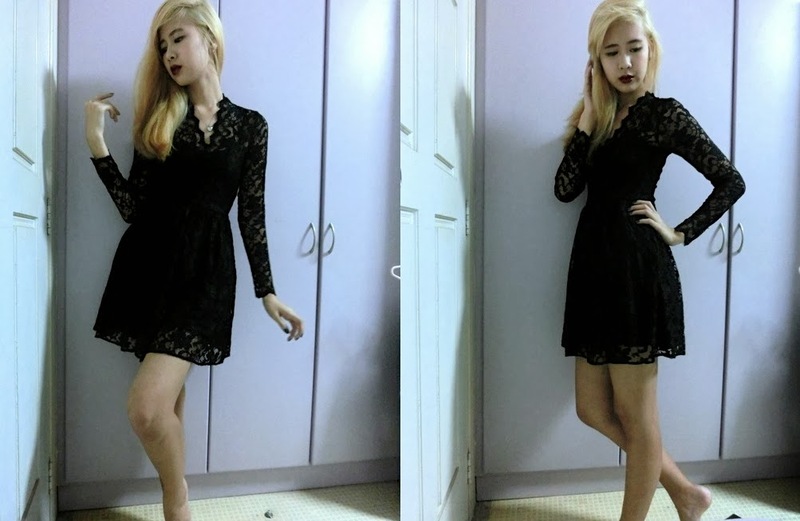 Z E N G.: How I Style: HALLOWEEN! as you all know halloween is coming up! is just a very 'not-so-over-the-top' look! also it is in black in colour! the lip colour with the black dress compliments the 'vampy' look. want to be a little more playful? if only i still have my dark hair, i will look more 'vampy' in this outfit!! & also to draw 'stitches' along my lips to cheeks. want to look like you didnt sleep for days? here, i used my naked palette's black eyeshadow to darken the eye bags. & also use it as 'blood' all over my eyes & lips! here is the overall look of the possessed doll look :P! i look so wash out/worn out/beat upped!!! so here is all for my halloween edition! & also, enjoy your halloween & scare the hell out of other ppl's asses!